I hope everyone in the U.S. had a wonderful holiday weekend. I certainly did, which is why this week’s free Crudoodle digital stamp is a day late. It seems every time I bake cookies, they disappear. 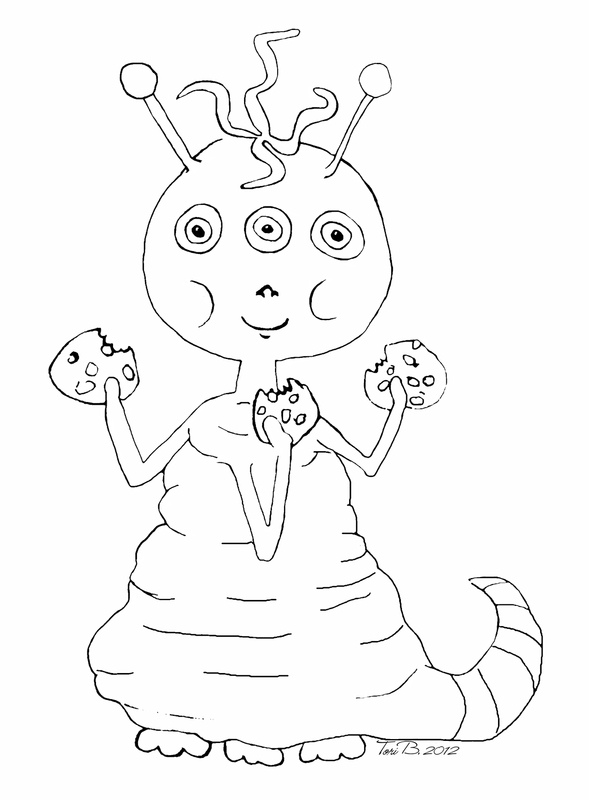 It could possibly be the cookie fairy who eats them, or maybe, a cute little alien. This week’s free Crudoodle digital stamp is Cookie Alien. 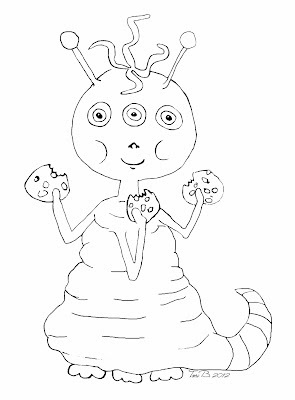 To save Cookie Alien to your computer, click on the preview above to open the full size image. Right click on the picture, and save to your computer. Posted in freebie, printable and tagged card making, coloring page, Crudoodle, Crudoodles, digi stamp, digital art, digital stamps, doodle, free, paper crafts, scrapbooking, Tori B. Cute cookie alien, Thank you!